The smart growth group 1000 Friends of Maryland, like other organizations focused on the environment, has given Gov. Larry Hogan mixed reviews for his first 100 days in office, tempering positives with sharp criticism. In the First 100 Days Report, 1000 Friends chastised Governor Hogan’s use of “rain tax” language this past session and questioned the capabilities of his newly appointed administrators. The group called on Hogan to reasses his transportation cabinet appointees and to look to the advocacy group’s 10 suggested policy goals moving forward. “We have serious concerns about some of Governor Hogan’s cabinet appointments, misleading rhetoric around the much-needed stormwater program and lack of funding for smart growth investments, ” said Dru Schmidt-Perkins, President of 1000 Friends of Maryland. On the report card the group noted some gold-stars for Hogan, with his advocacy for Program Open Space, allocating $87.1 million for land preservation programs, a Baltimore City food desert program, which provides property tax credits for supermarkets built in designated “food deserts” and Bicycle Pedestrian Priority Areas, which will improve safety for pedestrians and cyclists on designated roads. The group also praised Hogan’s appointments for four cabinet secretaries in charge of planning, agriculture, environment and housing. The investments Schmidt-Perkins highlighted as in need of funding are the highly debated Purple and Red rail-lines, which would connect urban communities and aid in development. Smart growth, the drive behind this organization for over 20 years, is the concept of building residential communities within an accessible distance to jobs and shops. It opposes suburban and ex-urban sprawl, and any development that gobbles up field and forest. “Maryland is generally recognized as a leader in state-level smart growth policies,” said the group. These policies began under Gov. Parris Glendening in the 1990s. However, Friends of Maryland expressed concern over the capability of Hogan’s newly appointed Transportation Secretary, Pete Rahn and newly-appointed MTA Administrator, Paul Comfort. While he has no experience overseeing $3 billion transit projects, Rahn has conducted billion dollar projects in his past, during his seven years as the New Mexico State Highway and Transportation Department Secretary and six years as the leader of the Missouri State Department of Transportation. The Maryland Department of Transportation is unusual in the U.S. because it oversees all aspects of transportation: highways, toll roads and bridges, mass transit, airports and sea ports. The governors’ office defended the cabinet choices, when asked about the report. The environmental group approved of four newly appointed secretaries; David Craig of the Maryland Department of Planning, Joe Bartenfelder of the Maryland Department of Agriculture, Ben Grumbles of the Maryland Department of the Environment and Kenneth Holt of the Maryland Department of Housing and Community Development. But 1000 Friends questioned the comprehensive plan track record of Department of Natural Resources Secretary Mark Belton as Charles County administrator. The repeal of the stormwater remediation fee, or “rain tax,” was also a key point on Friends of Maryland’s agenda. Although pleased with its passage by legislature and the governor’s intention to sign it into law, Friends of Maryland were still ruffled by rhetoric Hogan used, saying he “persisted” in “misrepresenting” the fee as a tax on rain. 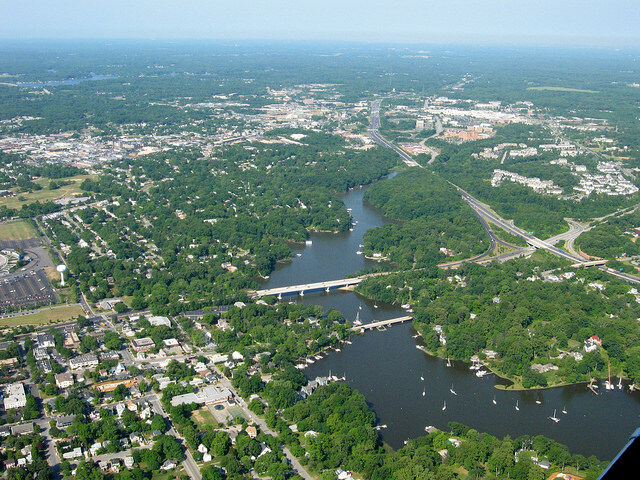 In the end, advocacy groups were pleased with the Hogan’s decision to give counties the choice of how to comply with the federal stormwater management requirements. “We were holding our breath for the past few days and hours. The stormwater bill is a remarkable victory. What a turnaround for Bay issues this session,” said Alison Prost, Maryland Executive Director for the Chesapeake Bay Foundation, in the foundation’s 2015 legislative wrap-up. The group is waiting to see if the governor signs one fracking bill on which he has remained silent. It would impose a two and a half year moratorium on hydraulic fracturing while extracting natural gas.